Scuderia Ferrari Orologi introduces a new race car-inspired design pillar with the launch of the Speciale. 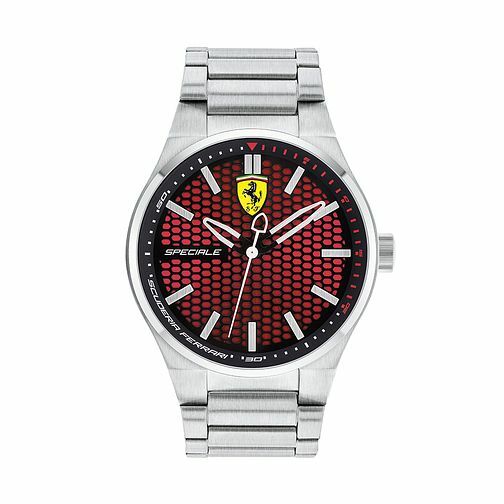 Accented in classic team colors, this exciting new sports timepiece collection features a red and black 44m dial, with the signature yellow Scudetto towards the 12-o-clock position and silver colour hour markers and hands, and a minute track. Presented upon a sleek stainless steel case and bracelet, this smart sports watch combines classic with contemporary at ease.